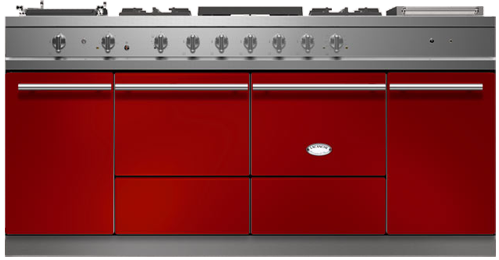 The Cluny 1800 is a true masterpiece and adds two ambient-temperature cabinets or warming cupboards to the Cluny. 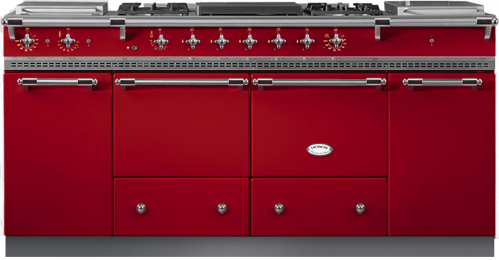 The five-burner hob can be complemented by two of the following options: additional gas burners, grill or flat-top grill. Each warming cupboard can hold up to 12 plates. Their temperature is thermostatically controlled and adjustable from 27 °C (80 °F) to 110 °C (230 °F), ideal to warm up your guests plates or use them as a slow-cooking simmer oven.